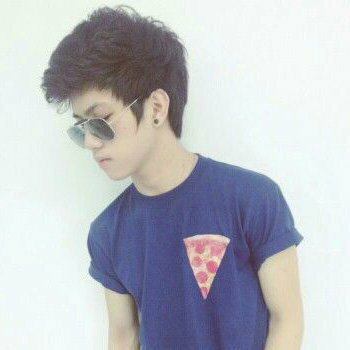 Ranz Kyle is an internet personality and a YouTuber from Philippines. He is best known for his dance video I Should've Kissed You. His birth name is Ranz Kyle Viniel Evidente Ongsee. He was born and raised in San Juan City, Philippines. He was born on 6th of May 1997. In the early 2015, he published a video titled SIBLING HEADS UP CHALLENGE. His sister also featured in this video. He began dancing at the age of 9. He is now in his late teens and it seems like he is focused on his career rather than in love. Till date there is no any information about his love life in the media. HattySims is an internet sensation. She is a YouTuber and she is well known for her YouTube channel The Sims 4. She has been active in YouTube since 2015. A lovely lady known for her emerging talent, Nadia Ryann is an internet sensation. She is well known in YouTube as a signer and and actress. One of the popular internet sensation and social media stars. She is best known for her Instragram and twitter account. Her 6 sec video on her Vine account has gained numerous of followers. Mithzan is a video content creator for YouTube who has operated under the channel names Funondabayou13max and MithzanProductions. He is mainly popular among his fans for uploading gaming videos on YouTube.